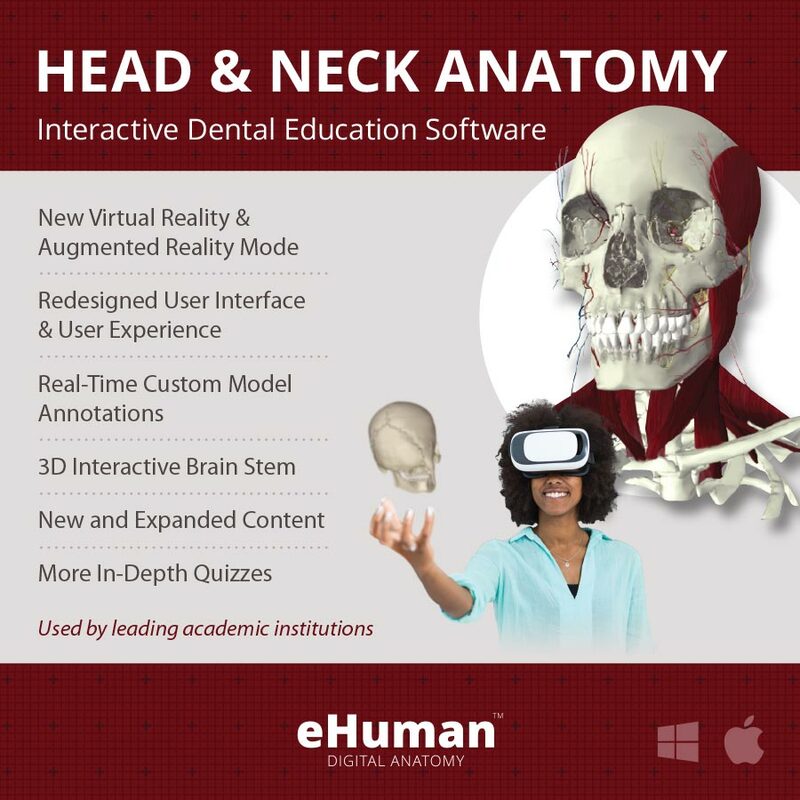 The eHuman Head and Neck Anatomy program includes extensive 3D anatomic models, video clips, and interactive images along with self-assessment quizzes with reference libraries and games that test the knowledge acquired through the use of the 3D resources. 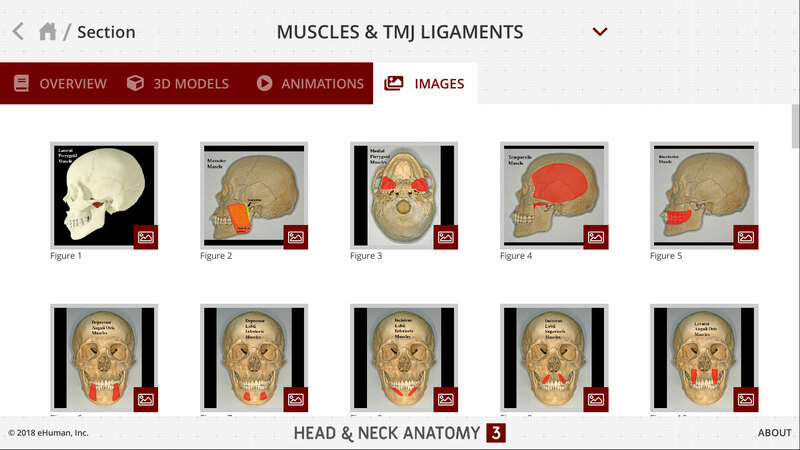 The program includes the following interactive sections: 1) skull osteology, 2) temporomandibular joint anatomy, 3) bony landmarks of the skull, 4) muscles and ligaments, 5) innervation, 6) arterial supply and venous drainage; and 7) edentulous anatomy. 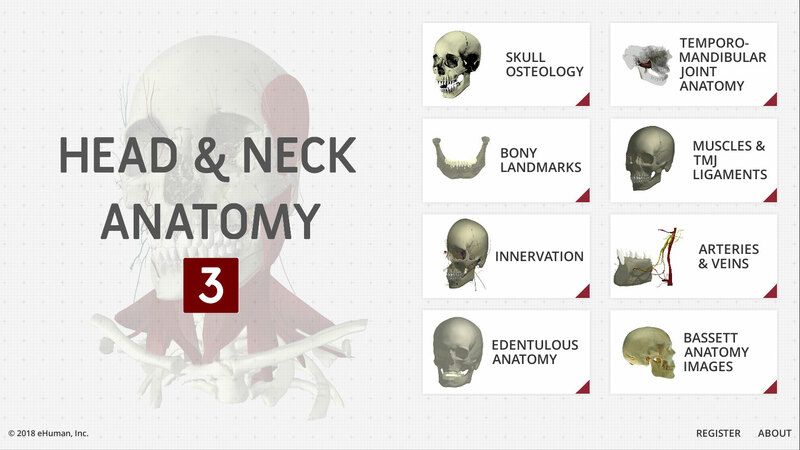 Within each section, there are interactive 3D programs that allow users to rotate, zoom, and pan 3D anatomic specimens derived from high resolution CT scans so they can visualize and learn critical relationships between the structures along with textual descriptions of the key anatomic features. 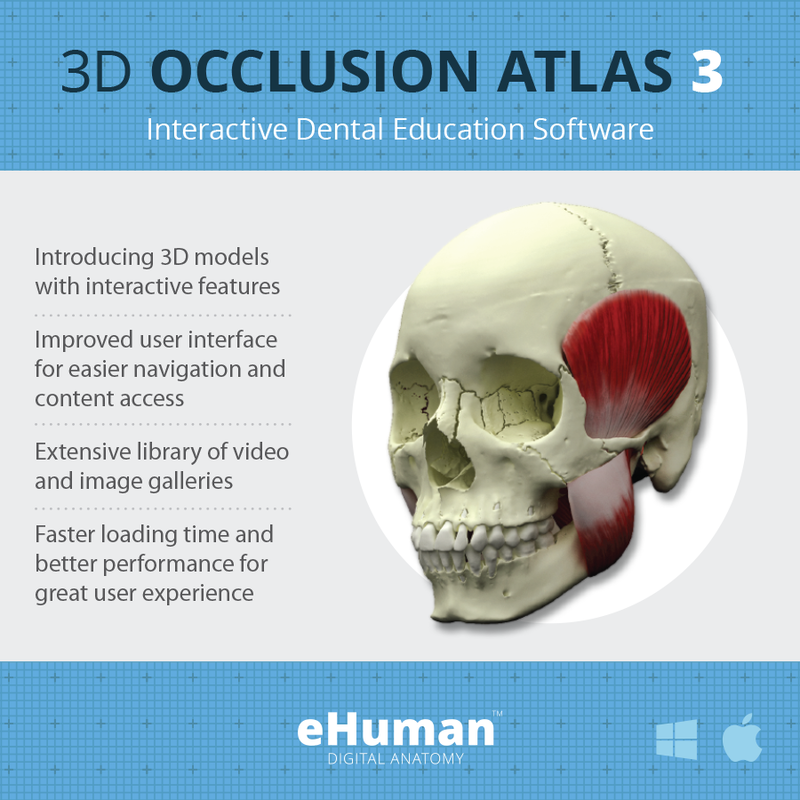 There are also 3D animations and video clips that permit 3D navigation through objects, thereby seeing their cross-sectional form. 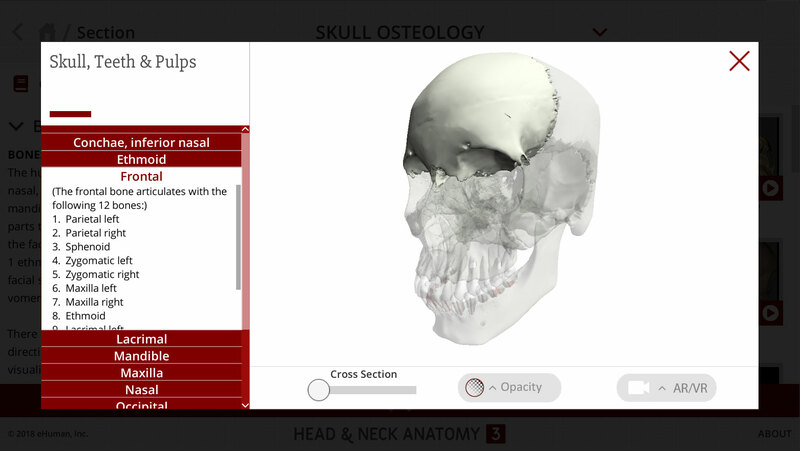 As an example, in the Skull Osteology section the following 3D programs can be viewed: 1) Skull & Teeth; 2) Articulation of Skull Bones; 3) Articulation of Nasal Bones; 4) Articulation of Orbital Bones; 4) Mandible; 5) Foramina, Canals, Meatuses and Fissures; 6) Skull Sutures; 7) Child’s Skull; 8) Edentulous Skull; 9) Hyoid Bone; 10) Sinus Cavities; and 11) Inner Ear. 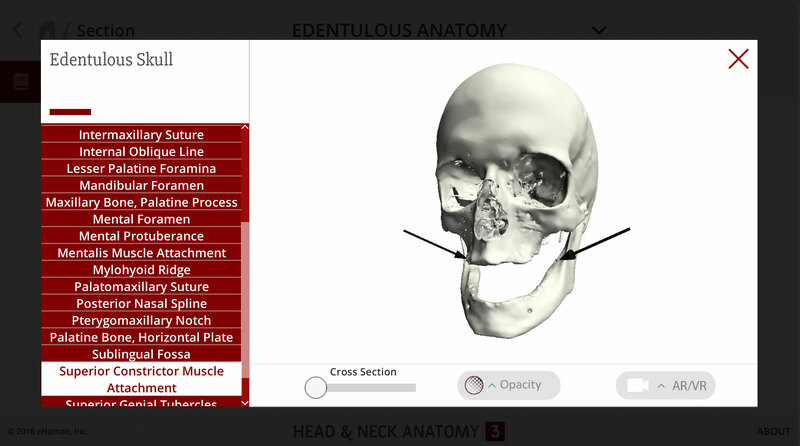 A unique feature of the program is the ability to 3-dimensionally view the temporomandibular joint and skull. 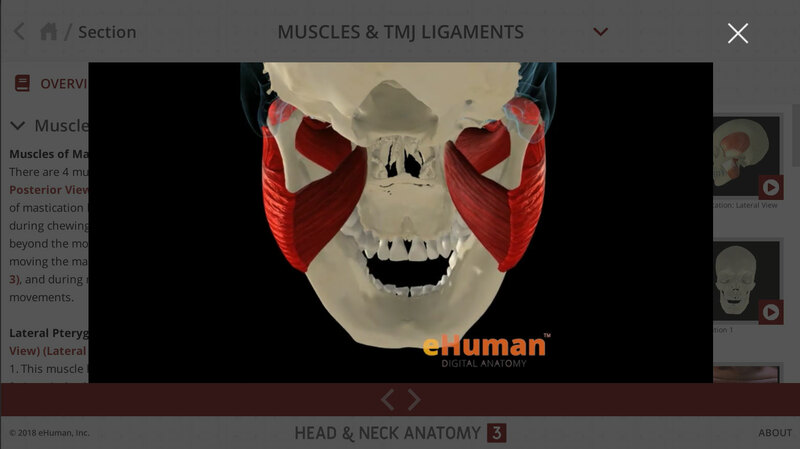 Each of the individual components of the TMJ can be visualized and manipulated 3-dimensionally. 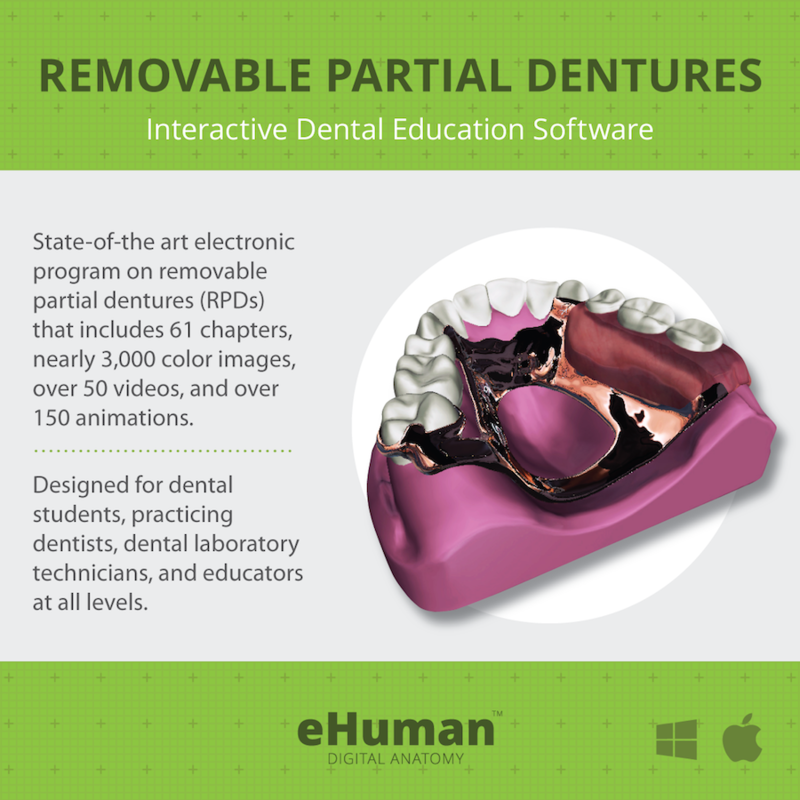 The program also has the ability to “Build a Temporomandibular Joint”, a feature that allows users to view any of the hard or soft tissue components of the joint either singly or in combination with any number of the other components. 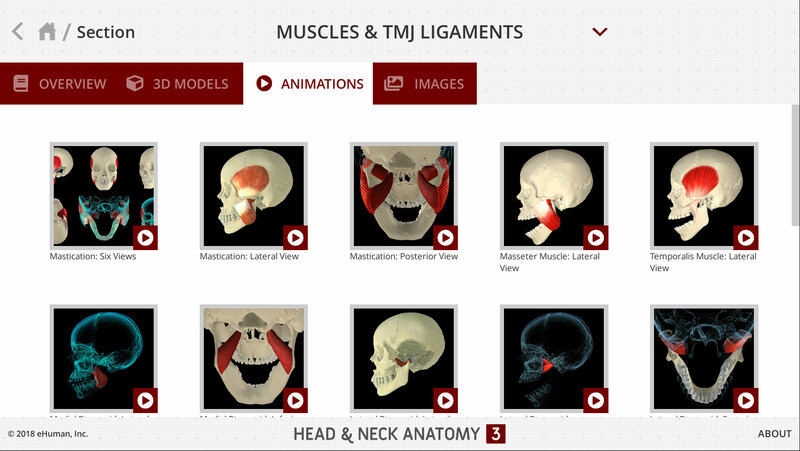 There are several specially designed “Quizzes with Reference Libraries” that allow users to test the knowledge they have acquired by viewing the 3D programs and video clips. 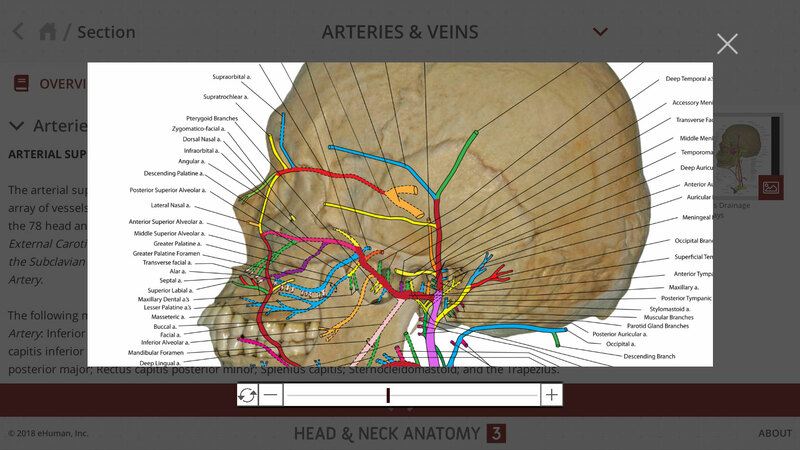 The Reference Library section of each quiz provides an extensive resource of visual and textual information that can be accessed while the quiz is being taken to find the visual answer, after which the user can then return to the quiz and continue answering the questions where they were in the quiz. 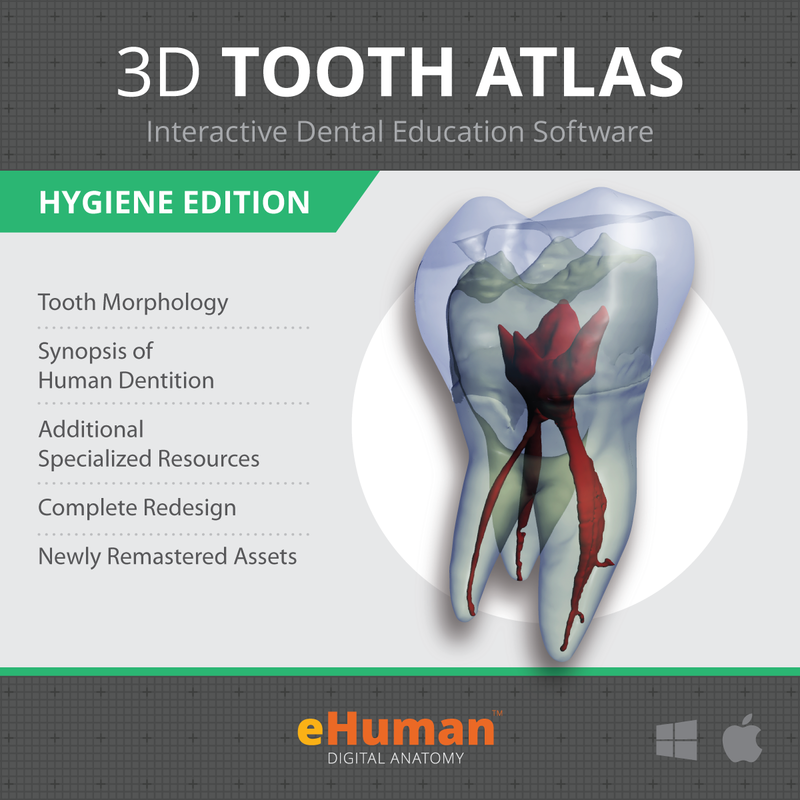 Additionally, uniquely designed games have been included in the program to provide users with the ability to assess the speed and accuracy with which they can recall the visual information learned through the “3D Programs” and the “Quizzes with Reference Libraries”. This program provides a unique opportunity for what can be termed “3-Tier Learning”. 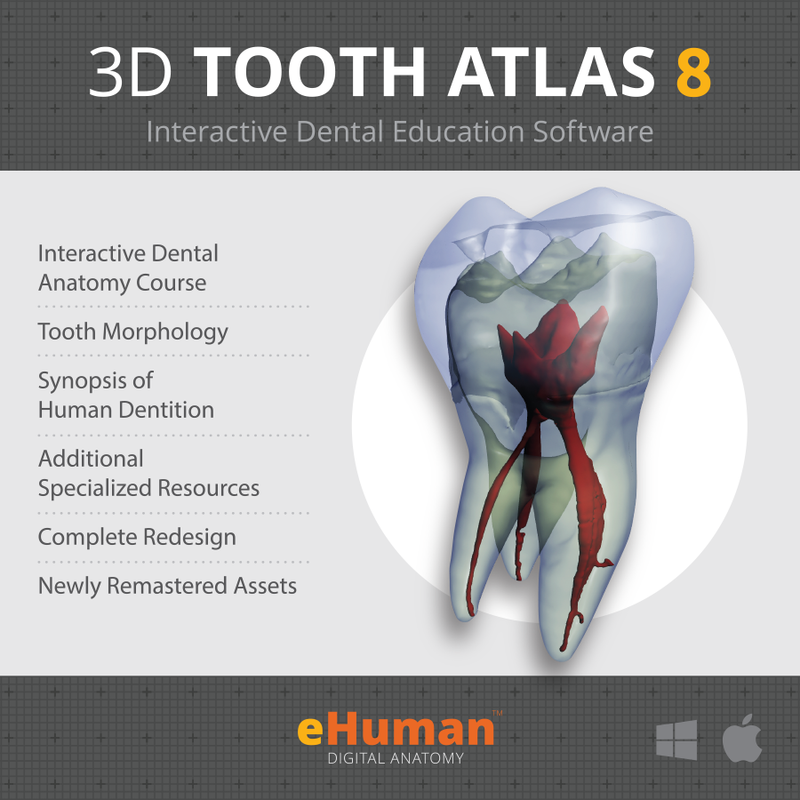 With this learning process, Tier 1 is where users view the 3D Programs and study the features shown on the 3D models along with reading textual descriptions. 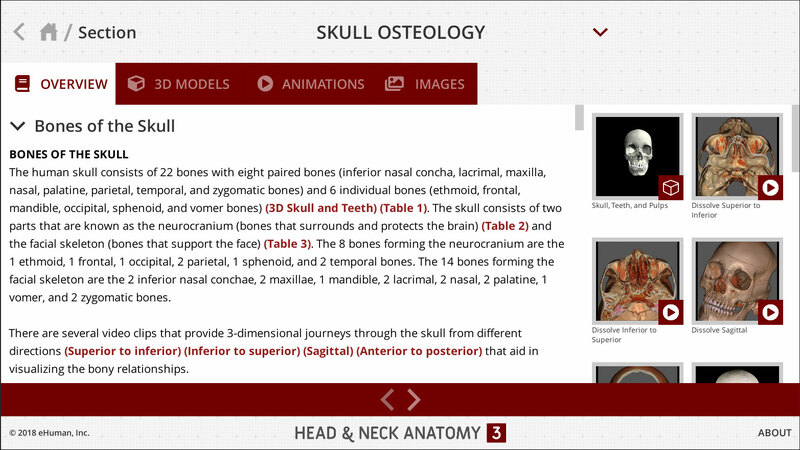 Tier 2 is to use the Quizzes with Reference libraries for self-assessment. With Tier 2, users can take the quiz while referring to the reference library for help or they can study the reference library and then take the quiz. Tier 3 is to use the Games to test speed and accuracy, important skills that reinforce learning and provide preparation for examinations where time is limited.